The BlackBerry KEYone, the last phone to be designed internally by the storied Canadian handset maker, finally has a US launch date. BlackBerry and TCL have revealed that the KEYone will land in Canada and the US on May 31 ahead of pre-orders a couple of weeks earlier on May 18. Originally teased in January under the codename “Mercury” and officially announced in February at Mobile World Congress, the KEYone features a 4.5-inch display with an oddball resolution of 1,620 x 1,080 (3:2 aspect ratio, 433 PPI) that’s powered by a Qualcomm Snapdragon 625 octa-core chip ticking along at 2.0GHz alongside 3GB of RAM. The handset also includes 32GB of local flash storage (expandable via microSD card slot), a 12-megapixel rear-facing camera, an 8-megapixel front-facing shooter, dual-band 802.11 a/b/g/n/ac Wi-Fi, Bluetooth 4.2 LE, NFC and a 3,505mAh battery. It’ll ship running a customized version of Android 7.1 Nougat and of course, it also carries that all-too-familiar physical keyboard typically associated with BlackBerry phones of yesteryear. The KEYone will initially only be available at the full unlocked price of $549 in the US but carrier options should arrive shortly after. In Canada, consumers will be able to pick the phone up through Bell, Rogers and SaskTel starting at $199 with a two-year contract. 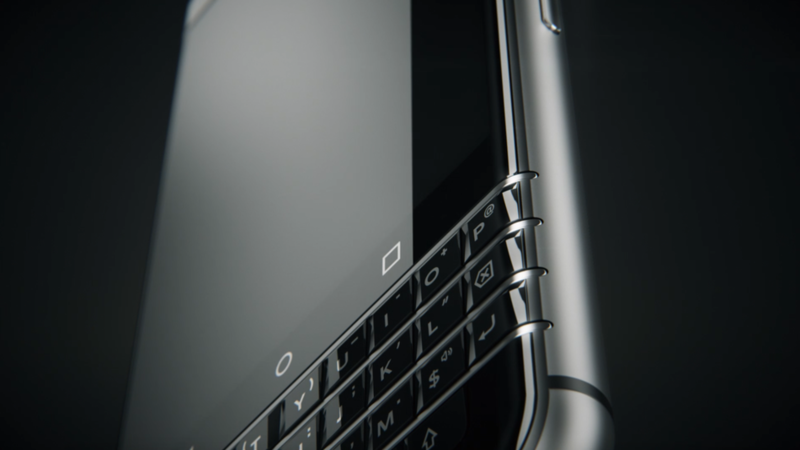 Although this is the last phone to be designed in-house, it’s not the last BlackBerry-branded handset that’ll ever hit the market. The company announced last year that it was stopping internal phone development to focus on software and services. Moving forward, hardware partners like TCL will design and manufacture smartphones carrying the BlackBerry name.